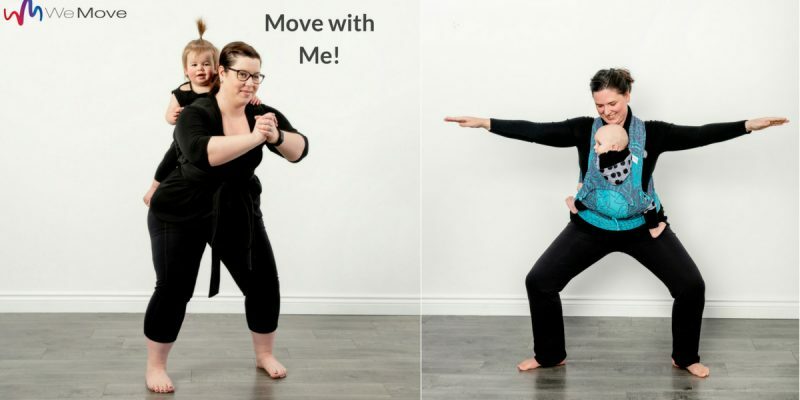 Have you been thinking about trying out a Move with Me class? Dance yourself back into shape with the best partner of all – your baby! Come move your body to beats from around the world, radio hits, and song requests as you connect with your new addition. This Dance Fitness cardio class is a work out class for the caregiver wearing the child in a carrier. With your babe snuggled into a baby carrier, you will learn basic steps to popular beats and dances. Move with Me! is a great workout and opportunity to socialize with other parents. It is also a great way to share movement with your baby. Students must provide their own carrier. Participants can join any time in the session. For caregivers 6+ weeks postpartum. This week only, the first 5 students to use the code ‘Move with Me’ will get to try out our Monday October 15th at 1:30 pm, Wednesday Oct. 17th at 10:30am OR our Thursday October 18thth 9:45 am Move with Me class for FREE.